THIS IS A CALL to those single parents who have beat the odds, to come join us in our shining hour as we form our first-ever team of volunteer gurus who will lovingly offer our time, knowledge and wisdom to our fellow-moms and dads. We’re all in this together, so I say let’s share the life-rafts. 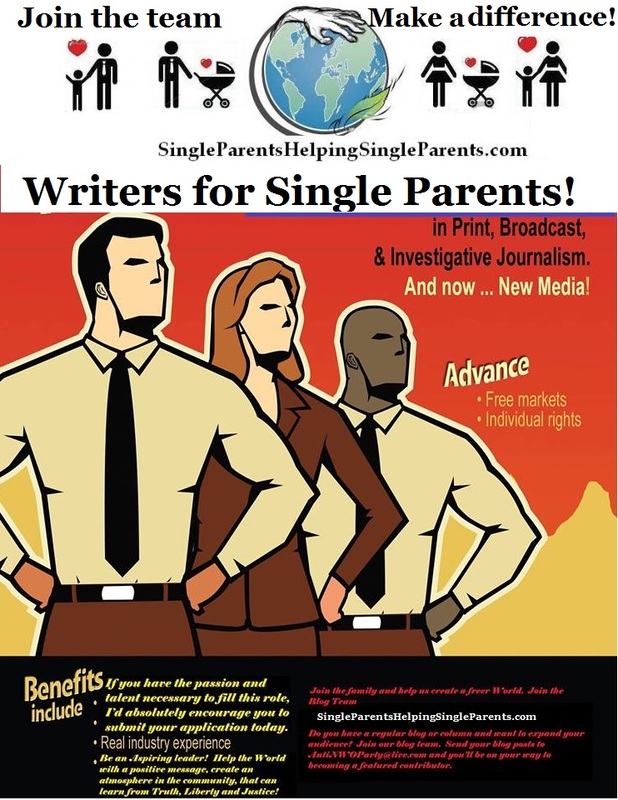 Not only that, but “Single Parents Helping Single Parents” also provides for those single parents ready, willing and able to step out, providing a calendar of events hosted by organizations worldwide. Should you wish to join our specialized and caring blogger team—or even to send an announcement about your events, advocacy activities or other intentions—please Contact Us. Adding your information to our list will providing us with your valuable feedback smoother.